If you don’t know who Rob Bell is let me explain a little because he has a lot of influence in Christian circles. Rob has been part of my life for over eight years. I have read nearly all of his books, used several of his NOOMA videos as a basis for small group discussions, and listened to hundreds of his teachings when he was pastor of Mars Hill Church in Grand Rapids, MI. (a while back I explained why I stopped listening to him on July 29th, 2007, which is another story altogether). I have deep affection and great respect for Rob. It is hard not to. Rob wrote a book called Love Wins which I wrote a fairly scathing review title Love Wins, Christianity Loses, & God Lies. I didn’t want to, but I felt I had to be honest. Rob has recently left his church to move to LA to work on a show loosely based on his life. There’s been a lot of talk of Heaven, Hell, and everything in between. As of late–and this is nothing new–many popular Christian leaders are challenging mainstream Christianity’s understanding of these things. While these subjects are uncomfortable, especially Hell, they are necessary. Why? >Because in the end, nothing else matters. The trend seems to be to create a sort of faith that doesn’t ‘offend’ or ‘judge’ anyone. After all, the logic is, we know God would never judge anyone. To do this, you must begin to water down Jesus because he said plenty of offensive and judgmental things that don’t get a lot of airtime–if you’re trying to create a feel-good faith. >That means we must decide how much Jesus really matters. The focus of this trend seems to always come down to the same thing: being good, doing good, and making the world a better place. This is often put in the context of healing: heal hearts, relationships, and even the environment are often the focus. Overall, I agree. But it’s the vanilla version of Jesus that doesn’t seem right. If being good and making the world better is the goal, wouldn’t it be more effective to leave off any mention of God or Jesus? Since discussing God and Jesus can so often be divisive, why not create a new secular humanist faith that avoids all that? One that’s totally dedicated to promoting good deeds and good will among all. This would probably be more readily accepted. Coexistence and harmony between all creation—man, animals, and environment—would create universal peace and a heavenly state. Who could argue with that? This less offensive, more congenial religion would probably have more impact on society and culture as a whole. >All we have to do is leave God and Jesus out of the equation. Sounds familiar? Isn’t this an application of Christianity that is some quasi-universalist, pseudo-Buddhist, completely indistinct Frankenstein of a religion in which, although it claims so, Jesus is not really essential? This implies that without acknowledging Jesus as supreme and central, you’re actually lost. This Jesus always gets explained away to fit the Frankenstein faith. It just doesn’t seem right. Ultimately, everyone must decide for himself or herself. I’m not sure if you know who Rob Bell is. Within Christianity, he’s kind of a big deal (pretty much the inverse of Jason Berggren). Well, he’s jumping ship. >This weekend he announced he’s quitting the church, Mars Hill in Grand Rapids, Michigan, he founded. Most recently, he has gotten a lot of attention for his book Love Wins. I read it and had several problems with it, which I wrote about in my post Love Wins, Christianity Loses, and God Lies. Why? Well let me just let you read some of my summary points. Since discussing God and Jesus can so often be divisive, why not create a new secular humanist faith that avoids all that? One that’s totally dedicated to promoting good deeds and good will among all. This would probably be more readily accepted. Coexistence and harmony between all creation—man, animals, and environment—would create universal peace and a heavenly state. Who could argue with that? This less offensive, more congenial religion would probably have more impact on society and culture as a whole. All we have to do is leave God and Jesus out of the equation. No biggie. >So why is Rob Bell leaving his church? Feeling the call from God to pursue a growing number of strategic opportunities, our founding pastor Rob Bell, has decided to leave Mars Hill in order to devote his full energy to sharing the message of God’s love with a broader audience. What do I think? I think it’s good and bad. In a way, Rob has been part of my life for eight years. I have read nearly all of his books, used several of his NOOMA videos as a basis for small group discussions, and listened to hundreds of his teachings (I even explained why I stopped listening to him on July 29th, 2007, which is another story altogether). I have deep affection and great respect for Rob. It is hard not to. Now Rob is free to go off the deep end. He doesn’t have the responsibility and role of ‘pastor’ to hold him accountable and measure his actions against. That’s not a good thing. >Perhaps, since he doesn’t seem to hold to some foundational Christian doctrines, this is the right thing to do. Why? Rob has a lot of influence due to his gift of communicating. I am afraid that Rob will further present an application of Christianity that is some quasi-universalist, pseudo-Buddhist, completely indistinct Frankenstein of a religion in which, although it claims so, Jesus is not really essential. I know I have many problems and likely have some of my interpretations of the Bible wrong. I’m human. That’s a certainty. >I’m just worried that Rob will get away from the urgency and importance of knowing Jesus, that he died for our sins, and that we must believe, accept, and follow him in order to spend eternity with him. So farewell Rob Bell. I do wish you well–with some caution. How Could A Loving God Create Hell? How could a loving God create Hell? That’s the real question. Often we are tempted to invent some type of safety-net view of eternity, because we are uncomfortable with the idea of Hell. As brutal as the idea of hell is, it makes sense to me that decisions we make in this life would affect the afterlife. Evil needs to be dealt with. I think everyone would agree with that. But for some reason, there’s a departure from this rationale when we add the afterlife element. We don’t want it to be true in respect to that. It’s as if we want to be able to live by our own standards and invent our own senses of morality, but we also want everyone to be rewarded in the end. Like when every kid on every soccer team these days gets a trophy, even the kids that finish in last place. No one’s better than anyone else, and no one’s s right. Everyone’s good in his or her own right. But that just doesn’t make sense to me. Should a Mother Teresa be rewarded along with a Hitler just because they both lived sincerely in accordance with their own heartfelt convictions? I can’t accept that premise. There must be some standard to figure out and enlighten ourselves with—if there’s a God. Otherwise, God is a liar. If God is real, how could he be content with a moral vacuum? I’m not. That’s why I hate it when true justice doesn’t play out in our legal system. But for some reason, I still have a problem accepting the next logical conclusion—that there might be true justice applied in the afterlife. I certainly don’t have a problem accepting the idea that people might be rewarded in the afterlife for the good they did on earth. And when it comes to the idea of retribution in the afterlife for wrongdoing, maybe my only reason for squeamishness is selfish. I don’t want to get in trouble for the wrong I’ve done, so to let myself off the hook, I let everyone off. Everybody gets a trophy! It’s a paradox. Though I can accept the principle of reciprocity, I still want to blame God for carrying it out, as if he’s some sort of savage for actually adhering to the principle I want him to stick to. Isn’t that the most loving thing to do? Heaven, Hell, And How Do You Get There? 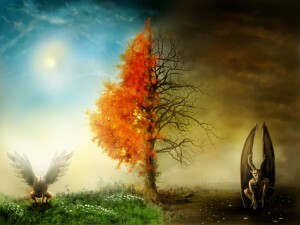 If you believe in the idea of Heaven or Hell in the Christian context, you probably have one of two views on how a person ends up at one or the other. If you don’t believe this, you might want to go back to checking your email or something. It’s been an interesting week for me. Following my review of Love Wins by Rob Bell titled Love Wins, Christianity Loses, and God Lies, I have been inundated by many messages. So I thought it’d be good to drill down on these issues a bit more. …everyone is out unless they opt-in. We are also given an extraordinary picture of Heaven. It shows God living permanently among his people. There’s no evil, no temptation, no night. There are no more tears. There’s no more death, no more pain. No one will ever be thirsty. No one will ever be hungry. Everything’s bright, lighted, brilliant. Precious gems and metals are everywhere. Oceans and rivers are crystal clear to the very bottom. What’s rare on this earth is in abundance in Heaven. Of course, we all want to get there. So how do we do it? And how does that happen? That’s the key here. I think the answer is found in several passages in the Bible. I’ll name just one. You probably know it well: “For God so loved the world that he gave his one and only Son, that whoever believes in him shall not perish but have eternal life. God did not send his Son into the world to condemn the world, but to save the world through him.” (John 3:16-17) If that concept’s uncomfortable, don’t get mad at me. I’m just the messenger. You’ll have to take it up with the one who’s quoted as saying this—Jesus. That is, if you believe in such things. So with regard to Heaven, is it that everyone is in unless they opt-out or everyone is out unless they opt-in? I believe there are different measures of Hell in the same way there will be different levels of reward in Heaven. So perhaps these one word descriptions that only communicate monolithic extremes are somewhat lacking. But that’s not what I’m talking about. What I’m talking about is how do we end up in the “inner court”–that place where we are with God all the time? Is it that if we accept and believe in Jesus we are in? Or is it that everyone is in unless they have outrightly rejected Jesus? In other words, if a person never follows Jesus, never believes in and accepts him (as the risen son of God), but never outrightly rejects him either, will they be allowed in that “inner court”? This is a question I often think about. And if you would like to read my detailed analysis of Hell, please download the chapter of Hell from my book for FREE here. Either way, with Heaven in the balance, Hell does what it’s supposed to. It causes me to take stock of my life, examine who I am, challenge what I’m doing, and question why I’m here. 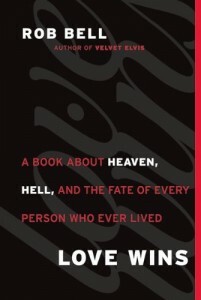 Love Wins is “A Book About Heaven, Hell, and the Fate of Every Person Who Ever Lived” by Rob Bell. This is important stuff for sure, which is why I tackle it in my book, 10 Things I Hate About Christianity: Working Through the Frustrations of Faith, as well. So I come to this review with some knowledge on the subject. If you’re interested on a comparison you can download my chapter on Hell here for free. In a way, Rob has been part of my life for eight years. I have read nearly all of his books, used several of his NOOMA videos as a basis for small group discussions, and listened to hundreds of his teachings (last week I explained why I stopped listening to him on July 29th, 2007, which is another story altogether). I have deep affection and great respect for Rob. It is hard not to. That is why this review is so difficult. Beyond that, Love Wins is ambiguous, dangerous, and angry. I wanted to like Love Wins. I really wanted to like it. But I didn’t. That doesn’t mean Love Wins is poorly written, dull, or unoriginal. On the contrary! In true Bell fashion, it is passionate, deep, and relevant. But if a movie has forced acting, a half-baked story, yet manages to come through with stellar special affects, it is still a bad movie. With all the perfect expressions, appealing conversational tones, and deep passion, Love Wins left me confused and frustrated—to such a degree, in fact, I still cannot determine what the book is truly about. Other than ‘talking’ about this stuff, I cannot figure out what the overall point is. Love Wins is purposely ambiguous. It poses many questions and answers very few. While Bell loves to try to emulate Jesus by answering questions with questions, he misses one BIG thing: an answer always came when Jesus was around. Jesus simply posed questions that invoked a pre-existing answer in the heart of the individual. Jesus also had another approach; he would enter the temple and teach from the Scriptures, explaining and answering in great detail. Jesus wasn’t at all ambiguous on the essentials, nor evasive; he was not ‘hard to pin down.’ Jesus provided clarity at a time, and to subjects, that desperately needed it. So much so that we are still talking about his answers 2,000 years later. It’s very fashionable to pose questions, remain distant, and commit to nothing. To most, it sounds enlightened (and keeps everyone liking you), but it’s also insincere and elusive. Love Wins is dangerous because its use and explanation of Scripture is manipulative. Sure, if a person has a pulse, then that person has a bias. We are all prone to interpret the Bible through whatever lens or worldview we have. But when a bias becomes an agenda, or even activism, with regard to Scripture, it can become very dangerous. So while explaining the Parable of the Rich Man and Lazarus as told by Jesus in Luke 16:19-31, Bell deals a fatal blow to the meaning of it. His assessment? This is not really a parable about Hell and the afterlife. It’s about the Rich Man holding on to his pride, status, and cultural hierarchy, because, even in his torment, he wants Lazarus, the beggar, to ‘serve’ him. For some reason, the Rich Man begging for a cool drop of water on his tongue because he “is in agony in this fire” or his plea for a special warning to his family about the potential torment in the afterlife goes completely ignored by Bell. Sure, pride can be an application of this story, but it is not the thrust. 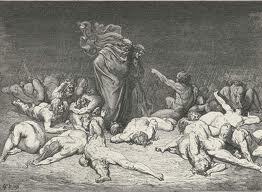 It merely serves to accentuate the seriousness of the afterlife, since the Rich (Jewish) Man is in the torments of Hell, while the (Gentile) beggar is in Heaven. It is clearly a warning about Hell and the afterlife. There is more, but Love Wins tumbles like a house of cards on these two areas of Scripture alone. What exactly are we being saved from then? Just our bad habits and attitudes? Bell enjoys blasting the reader with an assault of seemingly contradictory verses. Then, while the reader is dazed, confused, and off-guard, he seizes the emotional moment to introduce a controversial view. It leaves the person feeling like, “Of course this must be true…I must be an idiot if I don’t agree with it.” The Bible is filled with apparent contradictions, if you are willing to bastardize and ignore context. It is a manipulative and condescending tactic to use, since it attempts to trick the reader into agreement. Love Wins is angry because it has all the makings of an immature, rebellious teenager trying to teach his overbearing old-fashioned parents a lesson about the new ways of the world. First and foremost, if you (or any Christian) believe that Jesus is absolutely essential to salvation or in a literal Hell with flames, Rob would like you to know that you are helping perpetuate a ‘strain’ of Christianity that is destructive, violent, toxic, venomous, and abusive. Got it? While Bell presents himself as very magnanimous in interviews and graciously expresses that he has no desire to call out or criticize his detractors, he has done far more in this book. Bell uses fighting words throughout. 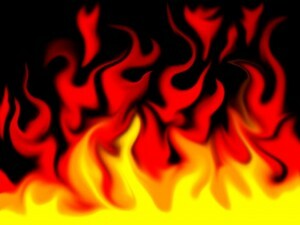 If believing 1) the name of Jesus is essential and 2) there is a literal Hell with flames, makes me a fundamentalist, pre-modern, unenlightened, barbaric, blind, villainous, and idiotic, then so be it—although I would dispute the charges. Sound at all passive aggressive? It is. I know because I ‘are’ one. I guess my overall problem is that I read Love Wins in the context of Rob Bell being a pastor, not a writer. One of the primary roles of a pastor is to bring clarity, predictability, and truth whenever possible. But I suppose this isn’t really feasible if you believe all truth contains a vein of the truth and is therefore equally true. This explains the evasiveness and confusion. I do not believe Bell to be willfully deceptive, but I do believe he is still knowingly guarded in his opinions. He should simply be more honest, rather than opting for the creative guise of cool and distant. You just can’t have it both ways—or should I say all ways. Bell admittedly likes to interpret Scripture as pliable and versatile (his words) if at all possible. This takes particular shape if a Scripture is especially uncomfortable. In doing so, he unavoidably opts for the guilt-free feel-good trappings of moral relativism and philosophical pluralism. I wish I could do the same. I wish it were all true and this easy. But in his framework, the Hebrew story of God and the Christian experience with God is of no affect and no importance, since following Jesus specifically or confessing his name is not totally essential. In fact, why should I even follow Jesus if everyone gets a pass in the end? Because he was really nice or said neat stuff? So what. So did a lot of historical figures. Why not live a life if debauchery and hedonism? Basically, it doesn’t really matter, right? These thoughts fill me with great sadness. Why? Because based on what Bell says, God cannot hold us to his own standard, since He will not hold Himself to His own words. 1. Love doesn’t win because there is no true choice and subsequent consequence (and this is what the nature of love is built on). 2. Christianity loses the very punch line of the ‘Greatest Story Ever Told’, since Jesus is not essential to the story. 3. God is a liar because he has called us to righteousness (and to follow Jesus) while rewarding apathy. I am left wondering, what the heck is Christianity, what does it mean to be a Christian, and does that even matter? How does love win? Love should win because God sent his son to be a substitutionary atonement for our sins and to save us from them and Hell: He himself bore our sins in his body on the tree, that we might die to sin and live to righteousness (1 Peter 2:24). That is the extent of His love. Nowhere does Bell make that abundantly clear. To me, that is the real story behind Heaven, Hell, and the fate of every person whoever lived. I love Rob, but I hate Love Wins. Rob Bell. That’s a name that engenders all kids of emotions. He is in the news lately because of his new book Love Wins: A Book About Heaven, Hell, and the Fate of Every Person That Ever Lived. 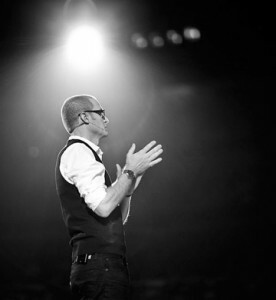 I first heard of Rob Bell in 2003 when I heard a session of his from Catalyst Conference on cd. He was famous for starting a church by teaching through the book of Leviticus. Although this seemed like a bad idea (Leviticus is notoriously boring), the church exploded. His session at Catalyst was so moving, which made sense of it all. Something about what Rob said changed me forever. And from then on I made sure to never miss a message. I listened to him teach every week via his church’s website. He had a way of teaching that was deep, passionate, and relevant to my life. I still have hundreds of his teachings in my computer. In addition, I consumed his supplemental resources NOOMA. Week after week I received from the well of Rob Bell. That was the moment he really jumped the shark. The series was “God Is Green“. I listened to this series four times to make sure I was hearing what I was hearing, because I knew this might mean a departure for me. I suspected I could no longer support or recommend Rob, so I wanted to be sure of what I was hearing. This was a series about creation and the environment. Now, I’m all for being responsible and taking care of God’s creation. But there is a fine line. I don’t worship it. I am not subservient to it. I worship the Creator, not creation. That is a form of idolatry, as the Bible might say. And I felt God is Green crossed that line. Bell went so far as to say that disrespect for the environment was a sanctity of life issue. That went too far. Sure, we all love the family pet, but Spike isn’t on the same level as my children. The sanctity of life is a concept that has it’s origins in Christianity. Specifically, it refers to humans because of their obvious difference from the rest of creation–we have souls. We are God’s crowning achievement. That’s what this term refers to. Up to then, I had begun to sense a drift in Bell’s teachings over the course of a year or so. There was something evasive. It was as if he wasn’t saying some things he really thought regarding some foundational Christian doctrines–namely, Hell, sin, the nature of the death of Jesus, among other things–and some others were becoming questionalable (like in “God is Green”). There seemed to be a faint pluralism creeping in. And “God Is Green” is where I drew the line. 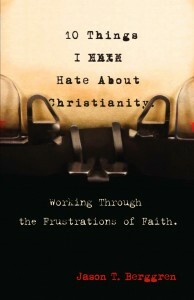 In fact, I indirectly reference some of his themes in my own book (the problem of exclusivity, Hell, and sin) entitled 10 Thing I Hate About Christianity. Of course, these deserve exploration. But I never listened to another Rob Bell message again. Now, I kept up with all his books. He’s still a great communicator. I just couldn’t listen to him teach his church Sunday morning representing the office of pastor, so to speak. It may sound strange, but it was a line I had to draw. So now Rob has a new book called Love Wins. It’s safe to say, my suspicions were right. It is creating quite some waves across the face of Christendom. Now, this is not necessarily a bad thing. It’s good to challenge the process and question the status quo, but that doesn’t mean you’re right–or I’m right–or he’s right. I am in the process of reading it and a review is forthcoming (probably next week). The irony is, I suspect that Bell has developed what he believes to be a faith that will crossover. By redefining Hell, sin, and consequence he likely hopes it will appeal to people who are not generally open to Christianity (like the main stream media). But in reality, they are not buying into it (I have seen other interviews that have gone much the same way). It makes even them suspicious.